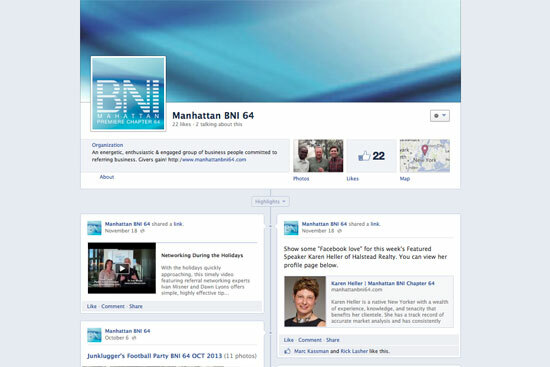 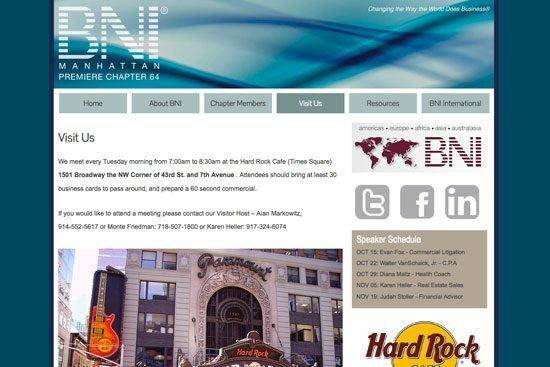 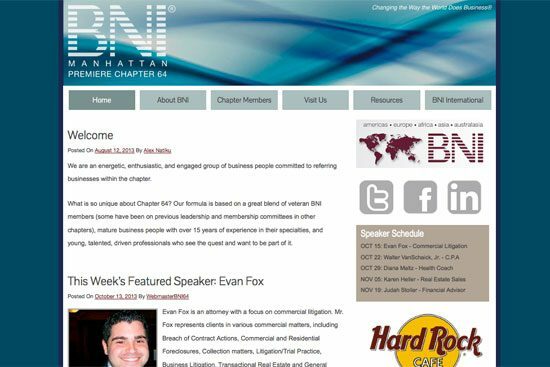 This local Manhattan chapter wanted a web presence so they could use it as a tool to help market the chapter to potential new memberships as well as support existing members via their social media outlets. 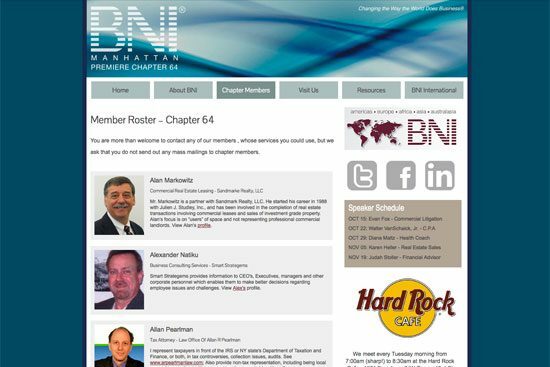 They also wanted a website that could be easily updated and maintained so if a member were to leave, they would not have to worry about losing their content and they would be able to pick-up where that member left off. 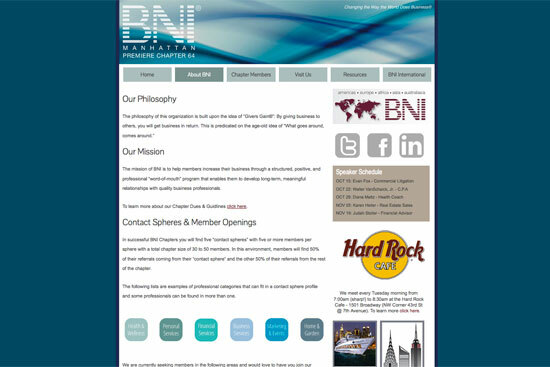 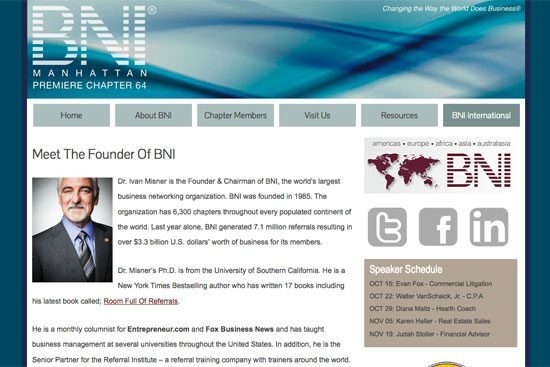 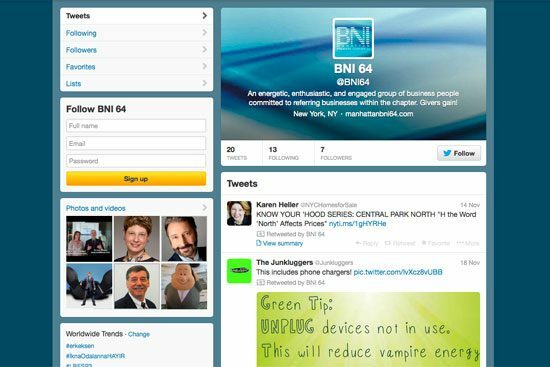 Services included: Site design and development, brand development specific to their chapter while being mindful of the BNI brand, including Facebook and Twitter.